Planning a family ski holiday? We understand it’s not always possible to find a group of friends to fill a whole chalet. That’s why we have 5 Dedicated Family Chalets. You can experience the VIP SKI service with your family in a shared chalet on all dates throughout the season. Selected from our collection to offer a choice in 5 resorts, these chalets and hotels are available for bookings by the room for families with children and infants on all dates throughout the season. Located right on the high street in the very centre of the village, Aspen Lodge Larch Suite is only 250m from the lifts and nursery slopes. We can fit cots in all 3 bedrooms, or an extra bed in 1 bedroom. Chalet Le Manoir boasts a completely unique position right on the piste, overlooking the lifts and nursery slopes and just 100m from the shops, bars and restaurants. We can add cots in 3 of the 6 bedrooms. The Como Suite offers a fantastic on piste location and plenty of space. The internal lift takes you down to the ski school, hire shop and piste level. Altitude Lodge has nine bedrooms, including five family rooms, the penthouse level has three bedrooms with a private lounge area perfect for a larger family group. The location, right on the piste, makes this a perfect choice for a family ski holiday. Our Lech hotel, Hotel Theodul offers the choice of twin or Austrian twin rooms. The hotel has 29 bedrooms and is just a short walk from the centre of Lech. We have family suites with double sofa beds as well as interconnecting rooms, all with en-suite bathrooms. Benefits of our Dedicated Family Chalets? These chalets have been selected for their ability to fit cots in bedrooms, have family rooms where children can be in the same room as their parents and for having good sized or multiple living areas so children have plenty of space to play. Sharing a chalet with another family can be a more economical way to travel in a small group. Our dedicated family chalets provide a more sociable environment for children and parents alike. Chalet staff are used to working with children. To help take the stress out of packing for your family ski holiday, we’ve ensured these dedicated family chalets are fully equipped for you and your little one's needs. All have stair gates, changing mats, microwave steriliser and sterilising tablets and washing machine access. We will provide a small selection of toys in the chalet for your use and to keep your little one entertained. We also provide the following for our little guests; full-fat fresh milk for infants, fresh home-made purees, children’s cutlery and crockery, car seats in resort (not on transfer) and pre-bookable infant packs. We also have the following items available for use on request; bed guards, potties, toilet step & seat and table booster. Our dedicated family chalets are all in resorts that have been selected especially with children in mind. Our private nannies are enthusiastic, qualified and caring, they’ll come to your chalet, look after the children, waft them effortlessly from pyjamas to piste if required, and allow you to get on with what you came for. Many parents worry at the prospect of organising a family ski holiday, especially if the children are too young to hit the slopes themselves. 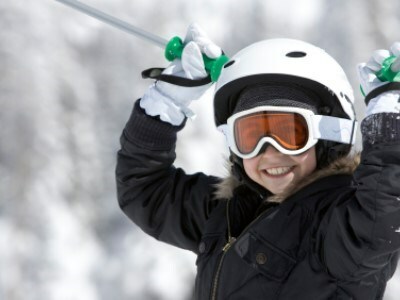 But skiing with children is not only possible, but can be great fun with a little bit of forward thinking.